Friday Dinner @ Blackberry Bistro, originally uploaded by in2jazz. Blackberry Bistro on Park Boulevard in Oakland is now serving Friday night dinner from 5:30 to 9:30 p.m. 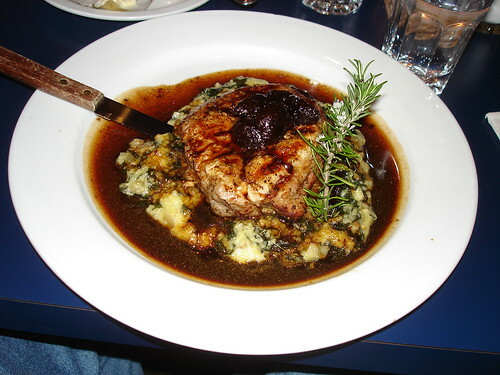 I had a very delicious grilled double thick pork loin, creamy polenta sautéed winter greens and roasted fig jus. Starters included sweet pepper bisque with chives, baby organic greens with balsamic vinaigrette, and shrimp scatter with garlic & bayou gumbo gravy. Entrées include bayou gumbo with fresh Dungeness crab, andoullie sausage, shrimp & blackened chicken served with a heap of steamed rice, fresh spinach fettuccine with slow cooked chicken, roasted tomato sauce, basil & fresh ricotta cheese, grilled mahi mahi over crispy corn cake with black beans salsa fresca & lime beurre blanc, and the very tasty Bistro Burger. 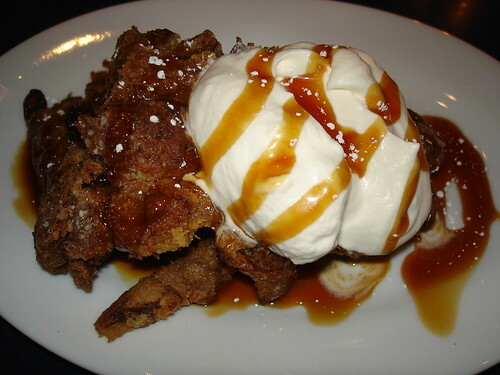 For dessert, I had warm banana raisin bread pudding with Chantilly cream and warm caramel sauce. I savored every bite of this wonderful dessert. There was also Crepes Suzzette and a warm chocolate torte. The menu is different each Friday. I cannot wait to go back again. See you there. Self-portrait @ Bakesale Betty, originally uploaded by in2jazz. This was fun. I took this photo while I was waiting to get a couple of slices of their yummy banana bread. Bakesale Betty is located on the corner of 51st Street and Telegraph Avenue in Oakland. 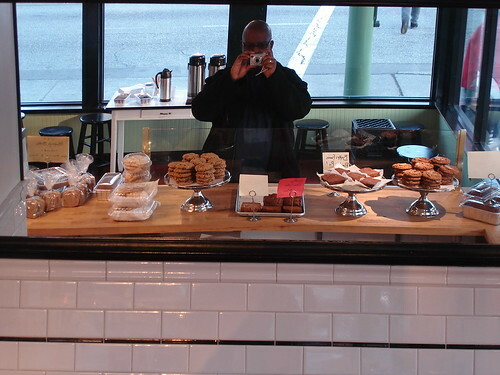 It actually looks like I am standing behind the counter when I am actually in front of the counter. Yes, believe it or not, as much as I love to bake, I occasionally go out for baked goods, especially if they are good. It also gives me new baking ideas. Recently, I met a lady at a friend’s dinner party who asked me if I ever thought about having my own bakery. At the time, I told her no, but the idea has been swirling around in my head for the past few weeks. I am not sure that I am ready for my own business but I do plan on talking to a couple of restaurant owner’s to learn more about the business. I will keep myself open to the possibilities. Tree, originally uploaded by in2jazz. This was my first photo adventure of the new year. We went to the James Lick Observatory on Mt. Hamilton, which is located in the hills above San Jose, Ca. The road leading up to the observatory is very narrow and twisty. I am still getting over my fears of driving on that kind of road. I am planning to drive down California Highway 1 in the spring for a photo adventure. 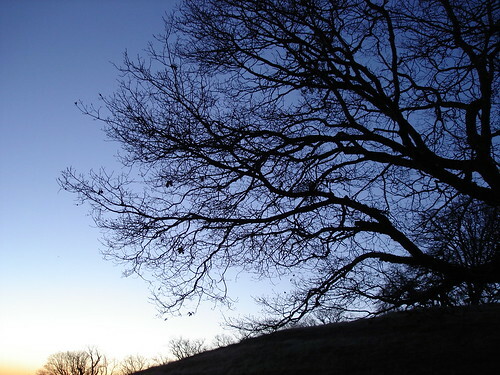 The photo above was shot toward the end of our adventure as the sun was going down. The colors on the observatory as the sun went down were rich and magnificent. I will definitely bring a pair of gloves with me next time. 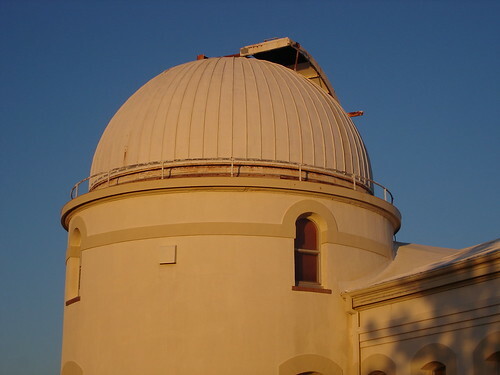 The temperature was 33 degrees at the observatory. I had since experienced cold and wind like that since the last time I was in Chicago during the winter. Dessert Goodness #2, originally uploaded by in2jazz. 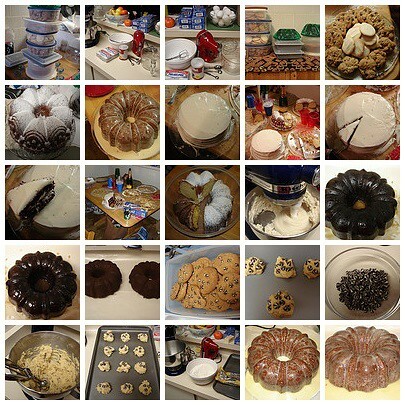 These are photos from the 4th Annual Festival of Desserts and other holiday baking. Over 40 people stopped by for dessert during the course of the evening and I still had leftovers. Everyone had a great time and I am already thinking about this year’s festival. I did learn something important along the way. The “bake cake now and glaze later” approach will have you glazing and frosting cakes all evening. You are currently viewing the archives for January, 2006 at Simply J Life.